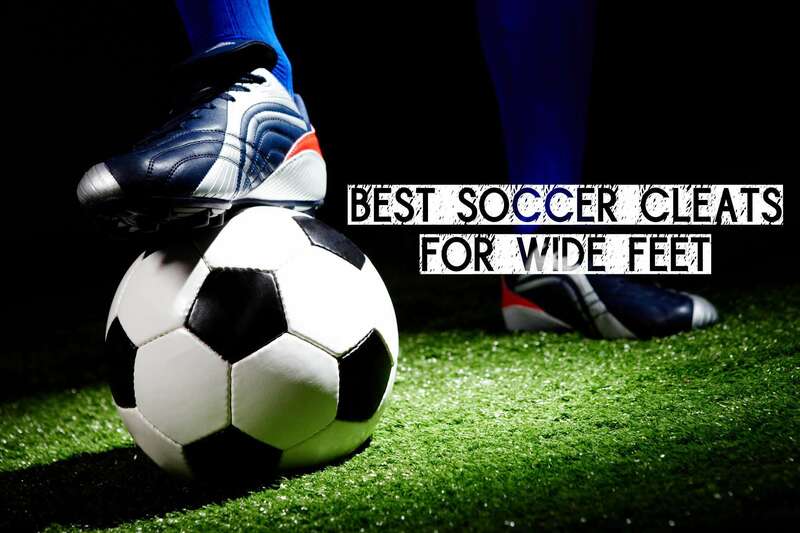 13 Best Soccer Cleats for Wide Feet – 2019 Selection, Buying Guide, Positions And Ground! Whether you’re a pro or an amateur soccer player, you will find soccer cleats as critical when playing soccer. With soccer, you will let your body undergo rigorous training which will affect different areas of your body, especially your feet. The sport itself demands high-intensity training and it puts a body to the test, which is why you need to have the proper gear. Having the proper gear will allow you to achieve the best performance possible. Which is why it is important to have proper footwear even when practicing as it enhances your performance, and benefits you and the way you play in the long run. As you may already know, there are a lot of variants that can cater to different kinds of feet, playing styles, and types of pitches. When it comes to buying yourself new cleats, treat it as if you’re buying yourself regular shoes. It must be durable, comfortable, and you must see yourself using them for long periods of time especially when you are buying them for wide feet. However, you must consider that the sizing on wide cleats differ from the regular because cleats are mostly made of thin materials to optimize ball control. 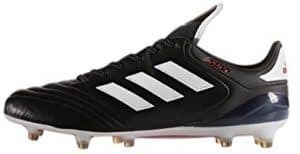 It is important to figure out how you play before buying yourself a pair, since there are different types of cleats that can support your playing style. Also, the kind of pitch you’re playing on is important to take note of as some cleats perform better when used on specific pitches like turfs or grounds. 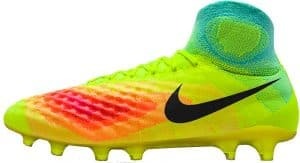 It is especially hard for players with a wide feet to find cleats that suits, which is why you will find myriads of products sold in the market specifically designed for people with wide feet but not all are good. Furthermore, the upper material of soccer shoes for wide feet should be leather since it provides more elasticity. This is highly recommended for players with wide feet. Soccer shoes for wide feet should always be comfortable and they should fit the player well. It is common knowledge that having wrong sized shoes can affect your performance, especially if they are too tight. The quality of the cleats or studs is also important to consider because the performance of the materials will differ greatly when you use them on soft or hard surfaces. Finding the perfect soccer cleats is essential in ensuring that you don’t get injured while on the field. By now, you may be thinking that choosing soccer cleats for your wide feet is a daunting task. Don’t fret because this is the reason why we have compiled all the things you need to know when choosing soccer cleats. Keep on reading. The upper portion of the regular soccer cleats is made up of either a synthetic material or leather. However, for wide footed players, kangaroo leather uppers are better recommended because they mold to your feet, making the shoe comfortable and optimizing the way you play. Always keep in mind that it is important for you to find shoes that you are comfortable with on your feet. They must fit as snugly as possible on you to avoid accidents. Buying yourself different cleats from different brands can be really tricky. Manufacturers and brands have various models and their sizes are sometimes different from the usual sizing. Wrong sized soccer cleats may affect your performance which is very critical in this sport. When buying online, always do intensive research before buying as the size may be different than what you are expecting. Moreover, always consider the return policies and check for size reviews so that you know what to expect from your order. Soccer cleats have different styles, and each of them is designed for a specific position in the field. 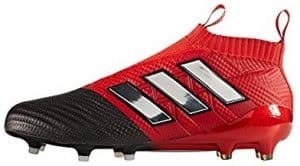 With this in mind, you will be happy to know that there is definitely soccer cleats in the market that caters exactly to your need for wide feet. Soccer cleats may be high-top, low-cut, or mid-cut. High-tops are mainly used by linemen due to their ankle extension, which provides support required in performing lateral movements. Mid-cuts, on the other hand, are used by defensive backs, wide receivers, running backs, and quarterbacks since they have maneuverability and support. As for low-cuts, they are mainly used for players that are looking for lightweight materials. Low-cuts make it easier for a player to run around the field. There are also cleats for wide feet that are intended for a specific pitch such as molded and detachable. 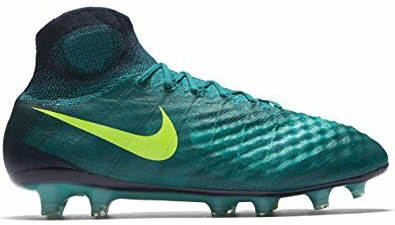 Molded cleats are mainly used on turf pitches, since they provide better traction. They also grip harder because they are attached permanently to the outsole. Detachable ones, however, are very versatile since they can be interchangeable which means you can play on whatever kind of pitch you want. Since the studs can be replaced, you can customize your cleats to match the field you are about play on. Take note that detachable ones are more expensive than the molded kind. Buying soccer cleats online can be very convenient. Maybe you want to have cleats with a brand new tech on it or you just intend to get a good deal from the ones on sale. However, you need to be very careful when purchasing such online. #1: Only buy on web stores or online merchants that you can trust. There are hundreds of online stores out there. Although some may be legitimate, there are still some who will scam you for your money or give you fake soccer cleats. Always be careful of the source. #2: Take note of the return policies of these online stores. It is likely that your soccer cleats will not fit you when you buy online. Make sure the online store you bought your purchase from has a reliable policy on returning or replacing soccer cleats. Every good online store has a great return policy. If there is none, do not forego with your purchase. #3: Always compare prices. There may be online stores that overprice cleats. There might also be some that sell cheaply. Either way, it is good to compare prices before buying. Also, be careful with the ones that are too good to be true. They may be counterfeit or low-quality soccer cleats. #4: Keep your receipts as proof if ever something goes wrong. The official receipt will be required if you want to return your purchase. Keeping receipts is a must if you want to keep yourself out of negative situations. #5: Check the store’s customer reviews. Going through the feedback of other customers is a great way in ensuring that you are purchasing high-quality shoes for wide feet. This is also proof that the seller provides legitimate products. There may be soccer cleats out there for a specific foot size. However, one thing that you also have control of are the color, collars, and laces of soccer cleats. These elements are very important if you care about aesthetic and if you want to match your cleats to your team uniform. Remember that how you like your cleats is up to you and your personal preference. Most brands now offer color customizable cleats, so you can embrace your creativity. There are also readily available designs for you to choose from. Collars provide ankle protection and a snug fit on your feet but it is up to you if you want them. A lace is the most customizable element in a shoe because not only does it keep your shoes intact and snug, but it also adds an artistic element. One common frustration when it comes to playing any sport is having broken gear. Soccer shoes for wide feet, no matter how great and expensive they are, are susceptible to damage. One thing you can always do is to prolong their lifespan by keeping them in good shape. Doing so will allow you to maximize their effectiveness in the long run. In order to achieve just that, here are some maintenance tips that you can follow to preserve your soccer cleats. #1: The surface type you are playing on will always matter. Wearing your cleats in their intended surface will help them last a little longer. Wearing soft ground cleats on hard surfaces will definitely affect the overall performance of the products. This is why having shoes according to surface is important, for turf, outdoors etc. #2: Loosen up your laces. This will benefit you and the cleat itself. Loosening your laces on the second to the last eyelet then tightening them on the last one will avoid any strain on your feet. Doing so will also reduce stress on the forefoot which will make the shoe fit perfectly on you. #3: Use cleats that suit your foot shape. If you have a wide set of feet, purchasing leather cleats is highly recommended as they mold to your feet better. This will reduce the pressure on your feet since the material can stretch and give comfort. However, if you have a narrow set of feet, the usual synthetic uppers will be more useful for you. Your foot shape is essential when choosing the right cleats. #4: Alternate pairs. Don’t rely on just one pair of cleats. Although it may be more expensive to have multiple pairs, it will prove to be beneficial for you since you will lessen the possibility of overusing the cleats. #5: Replacing the studs is also a key factor in maintaining your cleats. This is only applicable if you have detachable studs. Replace your studs once they start to become uneven to avoid any injuries. #6: Always break in your cleats. Practice with your new soccer cleats before the big match. This is considered as a necessary step when buying new cleats. Use them for exercising or stuff them with newspapers to break them in without damaging them. Eliminating their initial tightness will give you a much comfortable fit when it is time to play in the major games. #7: This is the most obvious one: wash them properly with the proper procedure for washing and let them air dry before you use them again. We understand the stress and frustrations players have when choosing cleats for wide feet, so we have listed the top products perfect for people who have wider sets of feet. Since the upper material of this shoe is leather, it is one of the top choices if you have wide feet. It also features a dual-density outsole that provides comfort. 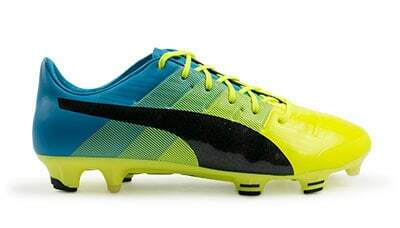 What’s more, this pair of shoes is durable which can improve your performance on the pitch. It is very lightweight due to its die-cut EVA insole, making it excellent on natural grounds. It has that classic Adidas design, so it still looks very stylish which is a plus. The Adidas Gloro 16.1 is part of Adidas’ classic-styled cleat collection. It is designed for the modern soccer player. It has a K-Leather upper which definitely caters to players with wide sets of feet but with much less stitching compared to the Copa Mundial. It shows much improvement with its outsole, providing better shock absorption, comfort, and stability even on firm grounds. Even with all these improvements, the cleats are still reasonably priced on Amazon. As one of Nike’s traditionalist boots, the Nike Premier does not disappoint in delivering comfort and durability which every player needs. It has a leather upper that covers your feet sufficiently and it provides the flex your foot needs to perform better on different pitches. It has a lightweight TPU outsole and an insole board that gives smooth transitions when playing.The Nike Premier is perfect for wide feet because of its material which can mold into your feet perfectly. 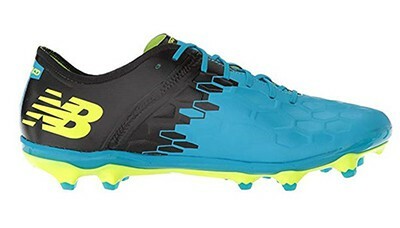 For a quality soccer cleat, it is priced fairly compared to other variants. This is the reinvented version of the Copa Mundial. It does not only perform well on the usual firm ground, but also in other kinds of pitches. Just like the original, its upper is made of soft kangaroo leather which makes it ideal for all kinds and sizes of feet. Unlike the Copa Mundial, the Copa 17 has OrthoLite sock liners and a compression tongue which provides more comfort and a more improved fit. It has different variants along with different improvements. With the Puma Evopower 1.3, you get to choose between two upper variants: synthetic or leather. Whichever material you choose, it is perfect if you have wide feet because of its off-centered lacing system, which provides a wider and more comfortable fit. It is designed for barefoot kicking with its improved outsole. The new outsole design encourages the foot to bend without limiting it with stiff materials. It also features optimal penetration so it can be used in all weather conditions. Moving away from leather uppers, Nike Magista Obra provides just as much elasticity due to its FlyKnit upper, which has a sock-like stretch as you wear it. It is perfect for players with wide feet because it molds perfectly and comfortably. However, it is priced high so before investing on a pair of these, be certain on wanting one. This is designed specifically for wide footed players. It has the comfort that you need to control the ball and it is perfect for any surface. It features kangaroo leather for an enhanced feel on the ball and it has a 12-stud sole plate, which improves support for your foot and enhances traction on a variety of pitches. It performs really well and can handle rigorous use thanks to its materials. With its PrimeKnit upper, Adidas Ace 17+ PureControl can wrap around your feet. It is especially beneficial to players with wide feet because of this technology. It has an ultra-thin film that keeps debris and water out, making it is perfect for playing on the dirt ground. It has enhanced stability which helps with the ball control as well. Nike Tiempo Genio is perfect for beginners. It has a leather upper which is great for players with wider feet. It is very lightweight, so it is easy to move around with it. Even though the Tiempo Genio II is a very basic cleat, it is very durable and it’s perfect for any pitch condition. It is also an excellent choice especially if you use it for training or if you’re an amateur practicing your skills. Puma King has a leather front upper and synthetic in the back which claims to be the best of both worlds. This results to a lightweight and waterproof cleats which are perfect for players of all foot variants. It gives the right amount of stretch and with its lacing system, it provides generous room for your feet. It can give you the top-notch comfort and ball control due to its thinness and its lightweight materials. It is very flexible, which is why it can provide ankle support. With its K-leather upper, Mizuno Morelia takes a spot on one of the best cleats for wide feet. Its K-leather upper is also very thin, providing the player more ball control. Morelia has a very flexible soleplate which adapts to the way you play. It is designed to be comfortable on your feet and to provide you immense ball control. This certainly gives you freedom on your feet since it can adapt to your movements. The Powercat 1.12 sports a K-leather upper that not only provides ball control, but also a proper fit for players with wide feet. It has a bulb-shaped forefoot, which also provides a wide space for your feet to fit in. With its heel counter and soleplate, it can provide the same stability and reinforcement as its predecessor, the PowerCat 1.10’s. It is a very solid choice if you want cleats that can give you confidence in your game. The Adidas Ace 16.2 has a PrimeMesh upper that gives you that sock-like fit, which is perfect for wide footed players. With this technology, it can also provide impressive ball control and performance. It is a very comfortable shoe suitable for beginners on the pitch. It has a control stud design which provides greater control over the ball and your movement itself. It has a rubber sole, which provides comfort and improved performance. There are hundreds of thousands of soccer cleats available in the market today. Your preferences may change over time and the industry will always catch up to your needs. Nike tiempo Legacy 3 is definitely better but it is also expensive compared Adidas Gloro. I will suggest to go with either one of them as they are both good choices but whichever suits your budget. Do you have any suggestions for youth boys (6yo)? For kids I always prefer quality so they can feel comfortable. I will suggest anything from Nike or Adidas youth series. They are comfortable, good looking and are priced well. My daughter has a small (men’s 5 or 5.5) and wide foot. we are having a hard time finding a small cleat that is wide. She also has Haglund’s deformity so the back of the cleat should be soft (no hard plastic spines). She plays College soccer so she needs a good quality cleat. Any suggestions would be greatly appreciated. She probably could fit into youth selection (above) shoes, but if there is still discomfort, the best suggestion would be to take her to a sports store and have her try different brands to find what fits her comfortably. Thanks for dropping by. I will have to research into this and get back to you, as you have wide feet & flat feet. Plus you need it for multiple sports. Let me get back to you. New Balance are advertised as being wide. New Balance also don’t have shoes with high arch support so your flat feet should be happy with them. 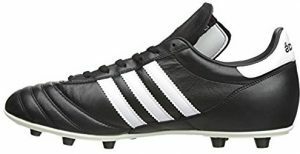 Best soccer cleat for a 14-year old, high school freshman boy with flat feet? Thanks in advance!